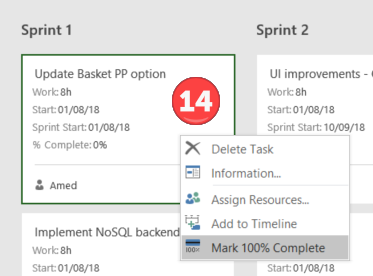 The new Sprints Project template has replaced what was the Scrum Project template. 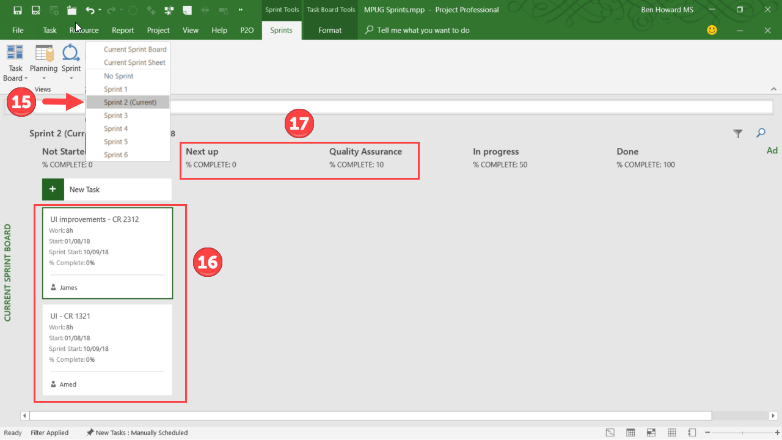 Figure 1 – The Agile button in the Project tab has been removed. 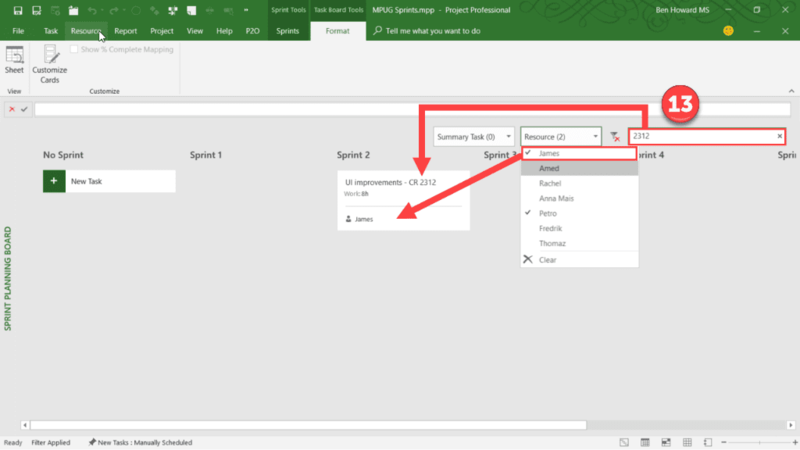 Your project tasks will display on the Sprint Planning Boards as shown below (figure 4). 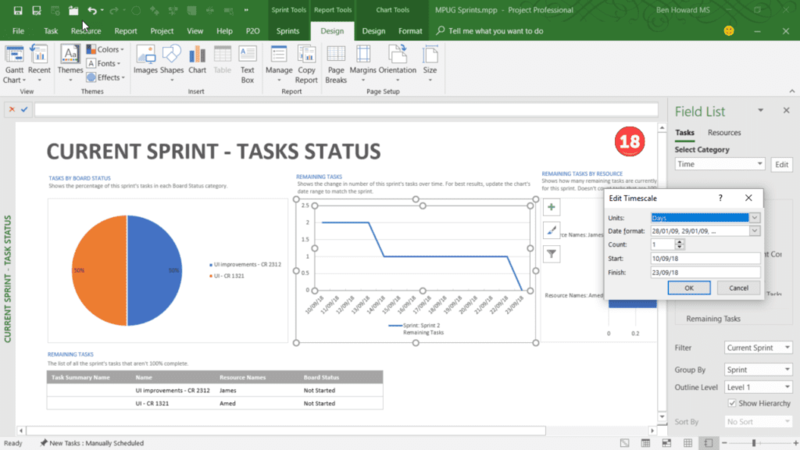 Click on the Sprints tab. 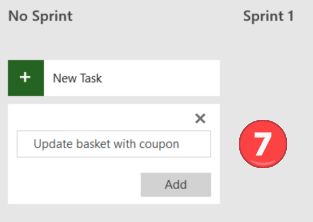 Click on the Add Sprint button to add additional Sprints. Note that the default duration can be changed (in this case, to “3ew” i.e. elapsed weeks). 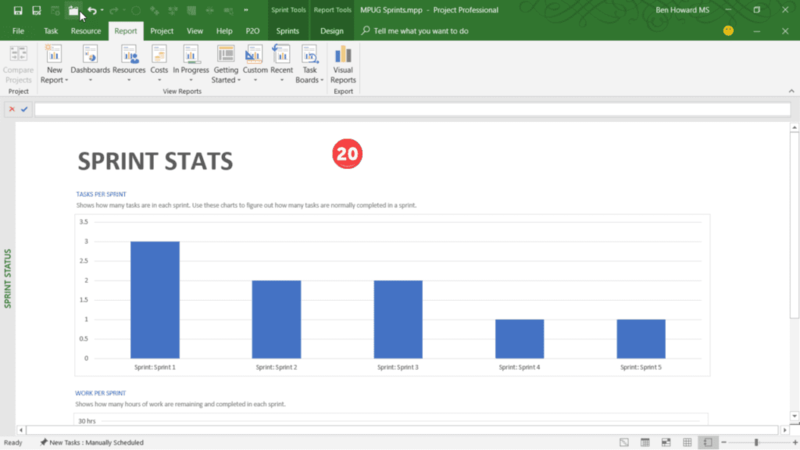 Individual sprints can be renamed and the durations altered, as needed. 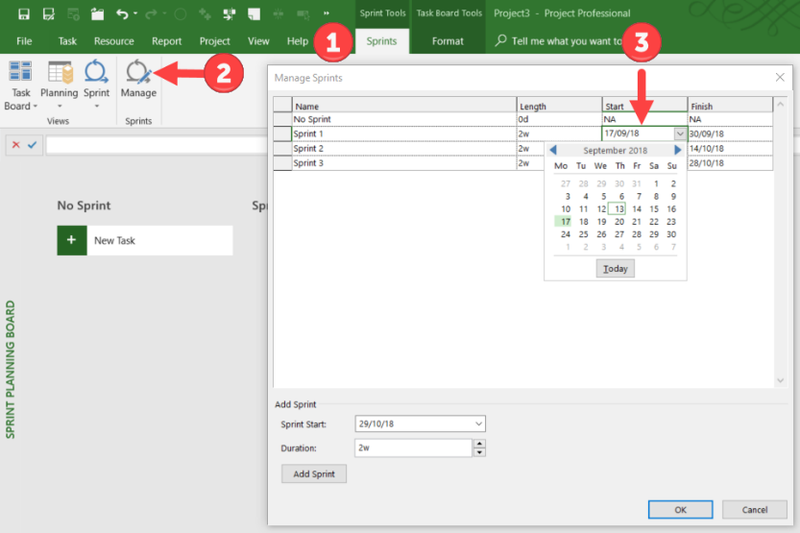 The dates between the finish of one sprint and the start of the next do not need to be consecutive. 13. 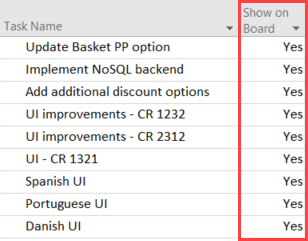 Select one or more Summary tasks, and one or more resources using the dropdown menus from the Filter button. The tasks displayed on the Task Board view are filtered accordingly. 15. 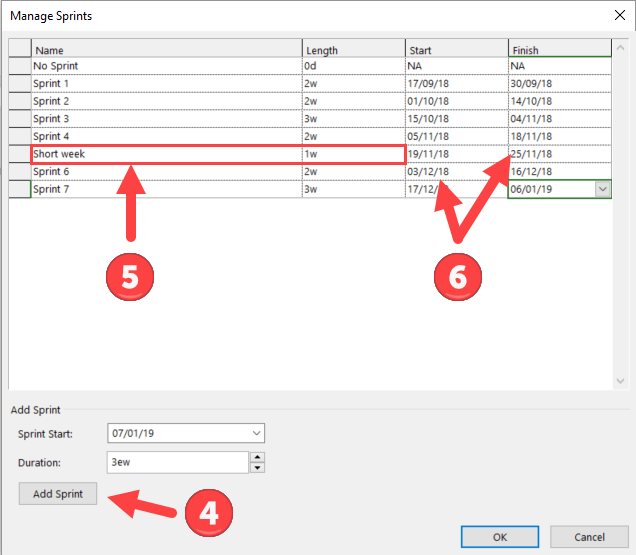 Click on the Sprints tab, and then select the Sprint button. 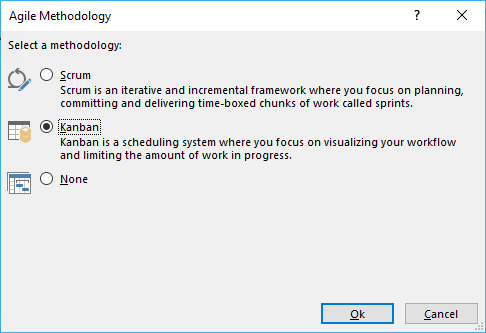 Select which Sprint to view from the menu. 19. 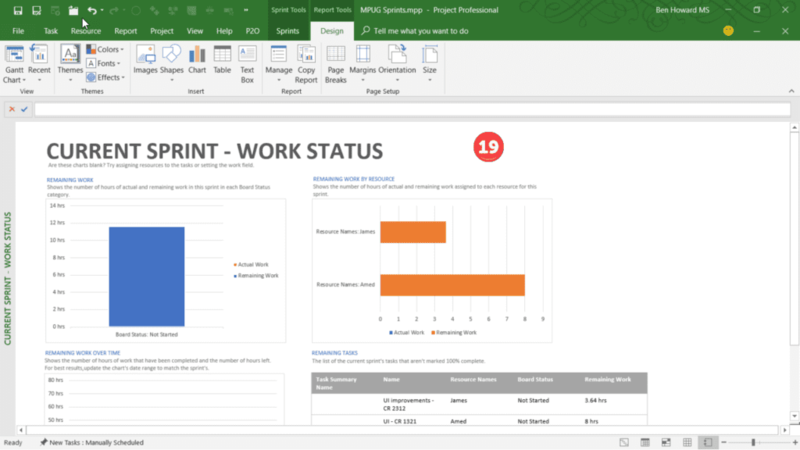 Now navigate to the Current Sprint – Work Status report. This report is more focused towards resources and who is doing what.